I like social media. I wouldn’t go so far as to say that I’m a social media junkie, but I definitely enjoy keeping up with friends, voyeuristically connecting with acquaintances and curating what I share with others. Facebook is my primary platform of choice, but I also use LinkedIn to showcase my CV. Pinterest is mostly for collecting recipes and pictures of Memphis murals, an odd, but real, passion. I initially stayed away from Twitter because it confused me and from Instagram because I came late to the smart phone revolution. Subsequently, I realized that I need to not be connected all the time and decided three social media profiles are enough. Too much “connection” feels alienating. Nevertheless, I do think that social media platforms offer a real opportunity for nonprofits in general and museums in particular. Some places do it exceptionally well—like @SUEtheTrex (The Field Museum) on Twitter and The Charleston Museum on Tumblr. In fact, my favorite class to teach in museum studies is the afternoon we spend talking about social media and other marketing. I always ask my students to think up a broad based marketing campaign for one of the university’s museums, and the results are always better than I expected. The past couple of weeks have seen a few crowd sourced, hashtagged shout outs to public history institutions. 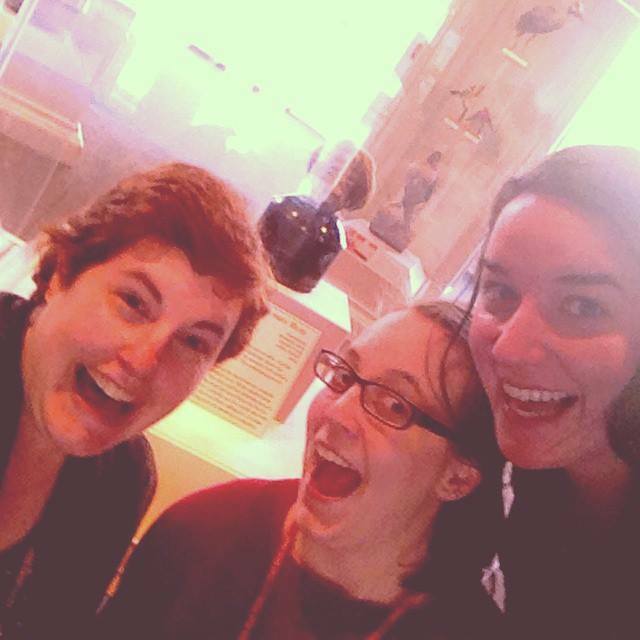 January 21 was the second Museum Selfie Day, which was inaugurated last year by museum blogger Mar Dixon. 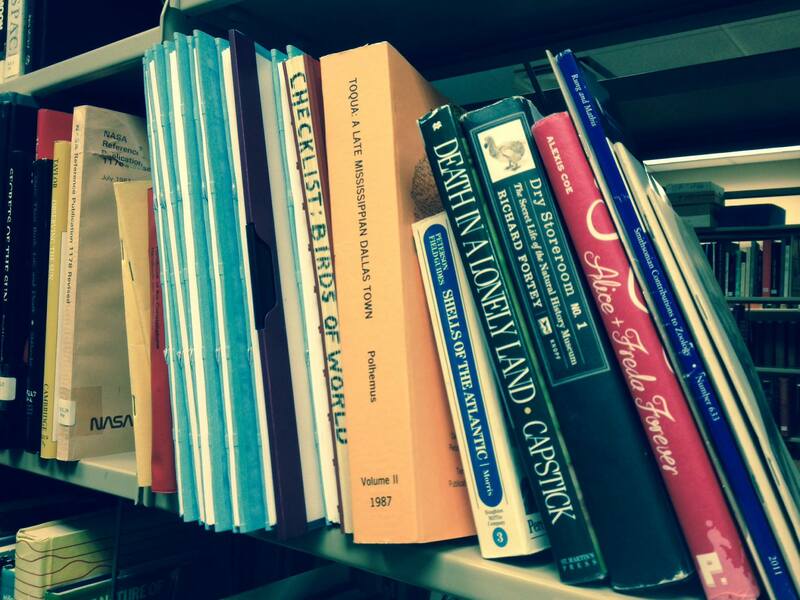 Today is #libraryshelfie Day, which also started in 2014 and was instigated by the New York Public Library. I took part in both because they were fun and got me out from behind my desk. Museums and libraries are interesting places, and the more that we do to encourage our patrons to visit, linger and make the place their own, the better off we will be. Happy #libraryshelfie Day from the Pink Palace’s occasional librarian.